I was going to say Pokemon Crystal, but you ruled that out with GBC so I'll say Gold or Silver. You can still play them on the original Gameboy, it counts! I mean it was the absolute system seller and the best version of Tetris basically ever. Link's Awakening. Wario Land is close as well. Should we just disqualify Tetris from the start or is this going to be a very short discussion? Wario Land 2 and I'll brook no discussion on this. It's the forever Game Boy game. Pokémon Gold/Silver, without a doubt. These two + Tetris and Wario Land: Super Mario Land 3. 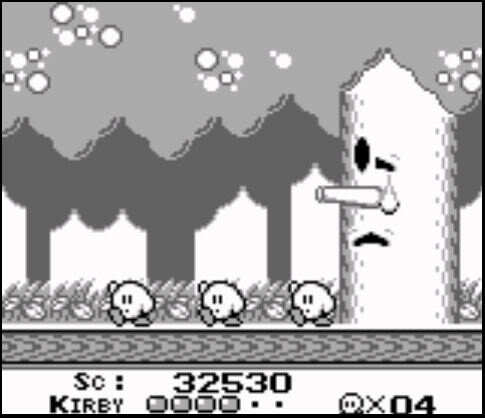 Kirby's Dream Land 2, of course. Link's Awakening for me. Followed by Metroid 2, Tetris and Castlevania 2. I can seriously play Kirby's Dream Land any time, anywhere, and have a blast. It's under-appreciated to be honest. Add Tetris and you have the holy trifecta of the original Gameboy. Tetris was the one I played the most for single and multiplayer, just an excellent version. For stuff originating on GB, it's a tough call between Donkey Kong '94 and Link's Awakening. Bionic Commando's also up there. Shout outs to Tetris, Kirby’s Dreamland, and Metal Gear Solid GBC, too, though. Tetris is the only right answer. Pokémon Gold or Links Awakening. Link's Awakening and it's not really a contest, imo. Is Pokemon red and blue the same game? Because I had the blue version. That’s a tough question to answer but I’d probably have to go with Tetris or links awakening although I never played links awakening until I had it on my 3ds. But I used to play Tetris with my friends with the link cable all the time back in the day.